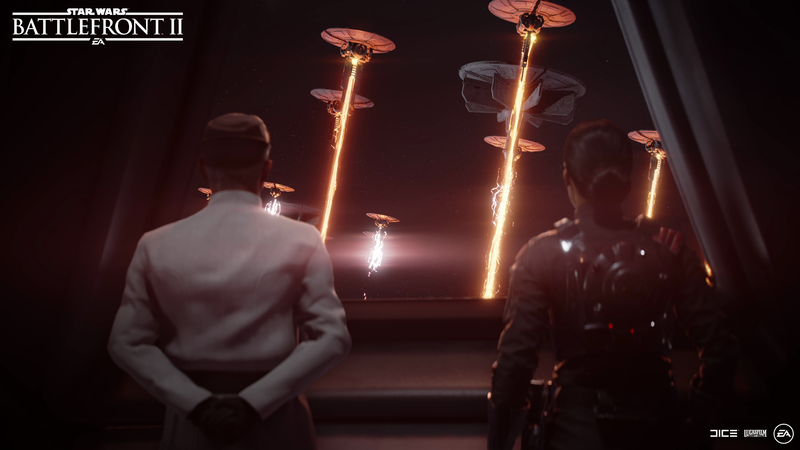 While it may seem far, far away, the Star Wars Battlefront II roadmap has detailed a whole bunch of upcoming additions to the game, including some brand-new modes, iconic characters, as well as a new planet for you to fawn over. In fact, DICE has made sure we’ve got months of content to look forward to as it aims to shake off the spectre of microtransactions and loot boxes that has haunted the title for the past nine months. 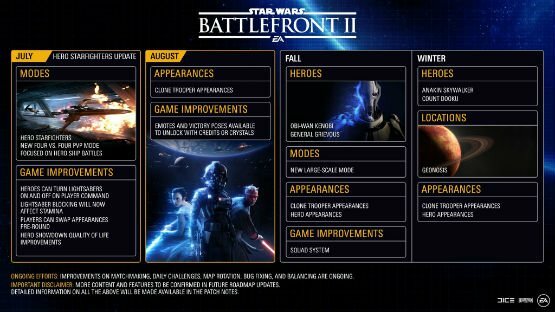 The full Star Wars Battlefront II roadmap is below but, undoubtedly, your eyes will be drawn towards some of the new heroes (and villains) that are coming into play soon. Also on the characters front: enter stage left, Anakin Skywalker and Count Dooku. Both are slated for the winter, as well as new planet Geonosis, where the opening battle of the Clone Wars took place. But I’m sure you already knew that. Before all that, however, you’ll be able to get your hands on new emotes and victory poses in August (I just want to see Leia dab, okay?). Plus, July will also get a new mode in the shape of Hero Showdown. Two teams of four will duke it out in hero ships to see who rules supreme over the skies.